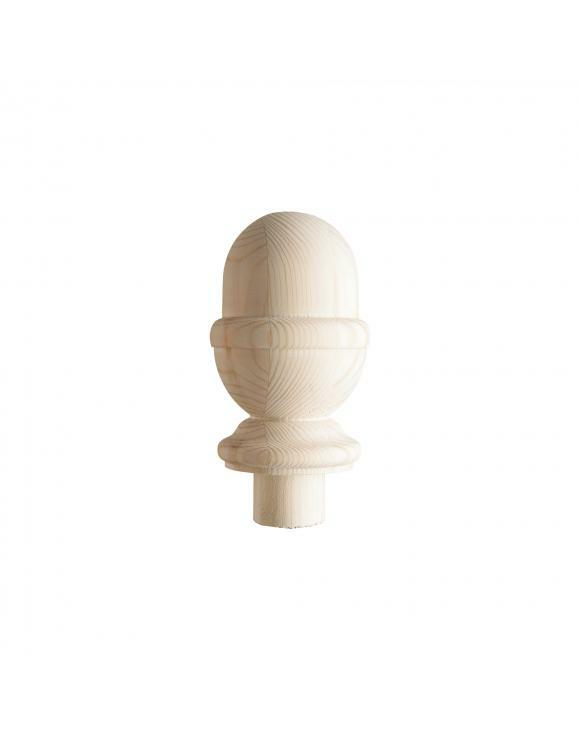 Turned Stair Newel post Caps with spigot dowel can be used with existing newel posts or with new newel posts. 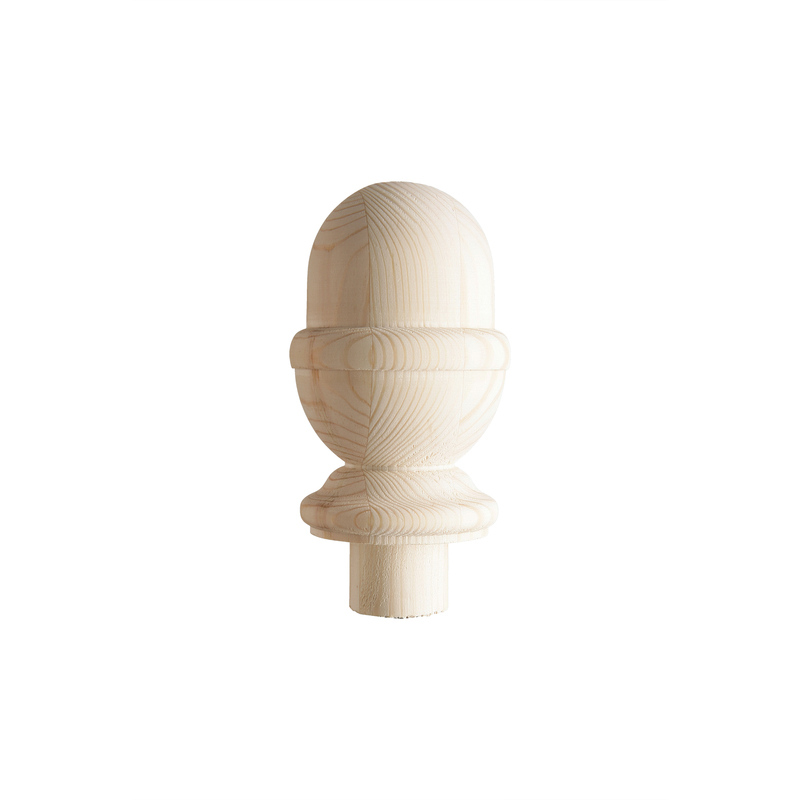 This spigot dowel type cap has been designed to drop into a newel post top with a spigot hole measuring 38mm in diameter. When fitting to new newel posts simply glue the spigot dowel on the cap into the pre-drilled hole on the top of the newel post.